RISING SUN, Ind. 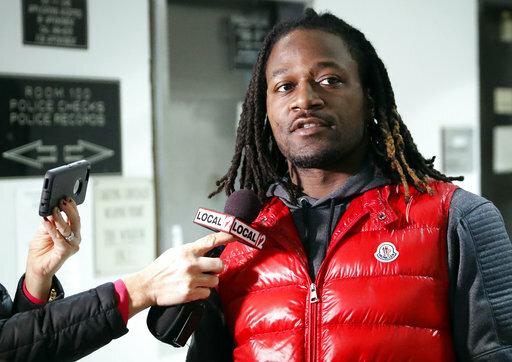 (AP) — Former NFL cornerback Adam “Pacman” Jones has accepted a plea agreement following his arrest at a southeastern Indiana casino. The Cincinnati Enquirer reports that Jones initially faced charges including battery, cheating at gambling and resisting arrest. Court records show additional cheating charges were filed Thursday. Prosecutor Lynn Deddens told the newspaper they were dismissed as part of the plea, which has to be approved by a judge. Jones’ attorney, David Zerbe, declined to comment. Jones was arrested in February at the Rising Star Casino in Rising Sun, Indiana, about 25 miles (40 kilometers) southwest of Cincinnati. The 35-year-old is accused of becoming verbally combative and disorderly after agents were called to investigate possible cheating. Jones spent eight seasons with the Cincinnati Bengals, and played for the Tennessee Titans and Dallas Cowboys.